If it is your first time injured in a car accident, you likely have a mountain of questions about what happens next. Our attorneys have compiled a list of the most common question they hear from car accident victims. Although it lasts only a moment, a car crash is a scary experience that often has consequences that can affect victims for weeks, months, and years to come. In addition to the physical and emotional healing that has to occur, victims often also have to deal with legal and insurance issues that result from the accident. Though it can be frustrating—even overwhelming—to address those matters while still recovering from an accident, state laws and insurance company policy provisions establish time limits for victims to make their claims. These time limits seek to promote timely filings and eliminate the threat of litigation to the involved parties after some substantial amount of time. Victims must be mindful of these timeframes to ensure they can obtain the compensation they deserve after a car accident. How Does a Statute of Limitation Apply to Georgia Car Accident Cases? Georgia counties: Victims are required to present their claims within 12 months of their injury. Georgia cities: Claims against a city require written notice within 6 months of the date of injury. The notice must specify the time, place, and extent of the injury, as well as the negligence which caused the injury. State of Georgia: Notice of a claim must be provided in writing within 12 months of injury, and sent by certified mail or statutory overnight delivery, return receipt requested, or delivered personally to and a receipt obtained from the Risk Management Division of the Department of Administrative Services. It is essential to meet these deadlines. Typically, the court will refuse to hear your claim if it is filed outside the statute of limitation or you fail to meet the notice requirement if your claim is against a government entity, eliminating any chance you may have of obtaining justice or compensation. In addition to strictly legal considerations, insurance companies often have their own rules about how and when to file a claim. This can be true for both medical insurance and auto insurance companies. Many car insurance companies require notification within 24 hours of the accident. Vehicle damage. Opposing insurance companies will typically dispute auto accident claims as much as possible. 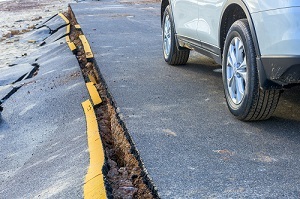 However, if your vehicle was significantly damaged in the accident, you may need a rental car or a company to authorize repairs; your own insurance company may be able to do this for you while you are waiting on the responsible party. Uninsured motorists. If the party responsible for your accident does not have adequate insurance coverage, you may be forced to file a claim with your own insurance company. You should notify your insurance company as soon as possible following an accident of a potential uninsured motorist claim. Medical expenses. Medical care is expensive, and the bills can begin to pile up quickly. Notifying your insurance company quickly may help offset some of the costs and help you avoid mounting debt. If you’ve been injured in a car accident, pursuing legal action as quickly as possible will give you the best chance at success. Even though it may be difficult and overwhelming to consider your legal options while still recovering from the physical and emotional wounds of the accident, it is necessary. The sooner you retain representation and file a claim, the more evidence can be collected and preserved. It can be more difficult to demonstrate to the court that you deserve compensation for your injuries as time passes. Swift action also ensures your claim is filed within the statute of limitations and can be heard by the court if necessary. If you or someone you love has suffered injuries in a Georgia car accident, don’t wait to seek legal help. Call the Atlanta law office of Rechtman & Spevak today at 888-522-7798 to learn more about your rights and schedule a free, no-obligation consultation. Our car accident attorneys are ready to help. What Kinds of Compensation Is Available After an Accident? Should I Talk to an Insurance Company After an Accident? What kind of compensation can I obtain after a car accident? Medical costs. Victims can be compensated for any medical costs related to the accident. This includes medications, hospitalizations, doctors’ appointments, therapy, and necessary modifications to the home or vehicle. Future medical costs. In some cases, the injury sustained in the accident can develop into a larger health issue or is severe enough to require long-term care. Compensation can be obtained to cover future treatments, therapies, and other necessities related to medical care. Lost wages. Often, the injuries suffered in an accident prevent a victim from working. It can be difficult for a family to maintain their lifestyle without that income. Victims are entitled to reimbursement for earnings lost due to the accident, as well as for permanent disabilities that will limit future earning capacity. Property damage. 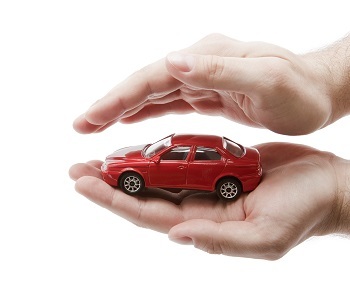 If your car or any belongings are damaged in the accident, the cost of repairing or replacing the item can be covered. Pain and suffering. Victims can be awarded compensation for physical and emotional pain they experience after an accident. These damages can include stress and anxiety, as well as future physical pain stemming from the accident injuries. There is a wide range of compensation that is available for accident victims. 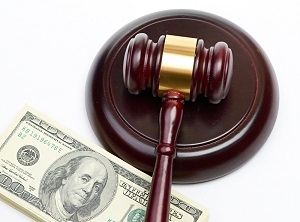 Every case is unique, and money is awarded based on the specific circumstances of each case. Insurance companies will try to minimize the amount they pay out, so victims should be careful after an accident. Don’t discuss any aspect of the case with insurance representatives without first speaking to an auto accident attorney. A skilled lawyer can help victims protect their rights and seek the maximum amount of compensation. If you or someone you love suffered injuries in a car accident, the car accident attorneys at Rechtman & Spevak may be able to secure you the compensation you deserve. Call our Atlanta office today at 888-522-7798 to learn more and schedule a free, no-obligation consultation.